Integrated into the landscape adjacent to the entrance of Calgary’s Great Plains Hockey Facility, One Puck Hollow is the facility’s third arena. The micro-amphitheater provides a gathering space for spectators and players. 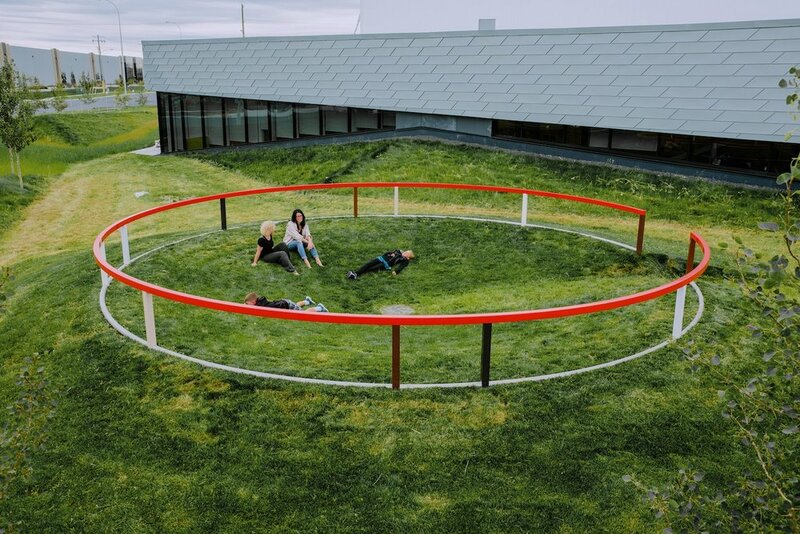 It references key features of the hockey rink—the face-off circle (the red rail is the same 30-ft diameter as the face-off circle), the 2-ft diameter black face-off spot (black flat rock in the center), and the boards separating the rink from the spectator. 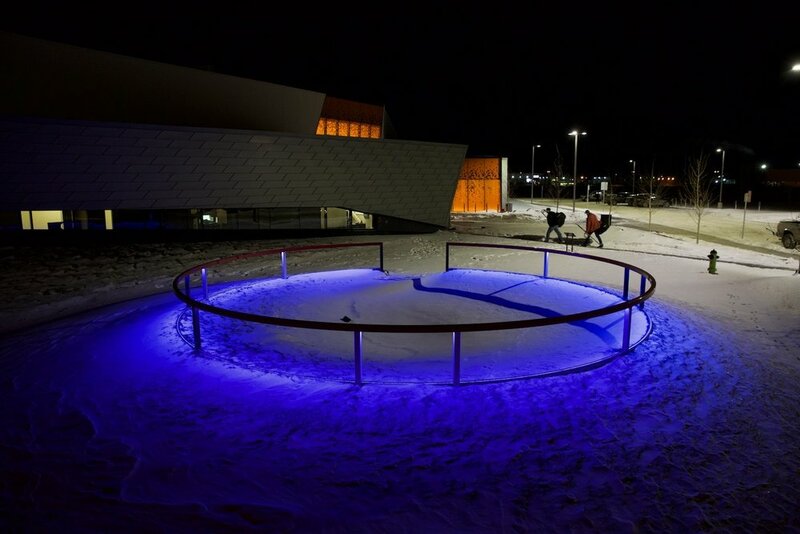 One Puck Hollow can range from a subtle infiltration in the landscape on a warm summer day to a vivid splash of color on a cold snow-covered winter night. (It’s Calgary’s first public artwork that leverages snow as an element of the work.) The LED lights (hidden under the upper rail) illuminate the green or brown grass or the snow below the rail and gradually change color based on the day’s average temperate in Calgary.